Special thanks to our amazing team of volunteers who contributed their time to pack hundreds of apples 'n honey for Chabad's campus-wide Pre-Rosh Hashanah blitz! Thanks to Eric Weinberg for your suggestion to everybody and for all your willingness to share the sweetness of Yiddishkeit to your follow students at Rutgers!!! You guys are great! 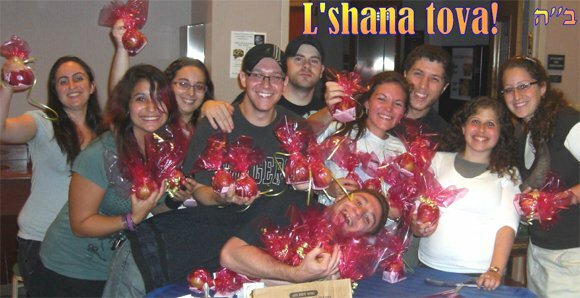 Shana tova! 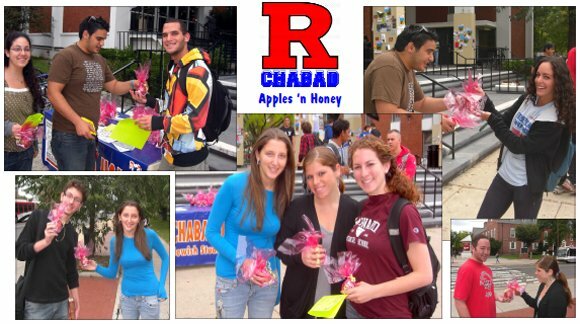 Special thanks to our amazing Chabad Leadership Team members Julie Cohen, Jessica Loren and Ben Bouskila for a stellar effort in making sure hundreds of students received apples and honey gift packs with invites to High Holiday services on College Ave!